The mitzvah that enables all other mitzvot and then some. You must keep the Torah as they teach it to you, and follow the laws that they legislate for you. Do not stray to the right or left from the word that they declare to you. Example: The Torah commands us to put a Mezuza on our doorpost. That is one of the 248 positive mitzvot in the Torah. Slight problem. The Written Torah does not exactly say to put a mezuza on your doorpost. It says to write 'them' (what's them?) on your mezuza (which means doorpost). Our Sages to the rescue! They (Chazal) transmit to us the Oral Torah and legislate Rabbinic law. In this case, they teach us that we must write the first two passages on parchment and to affix that parchment (in a case or otherwise) to the right-hand (as you enter) doorpost. 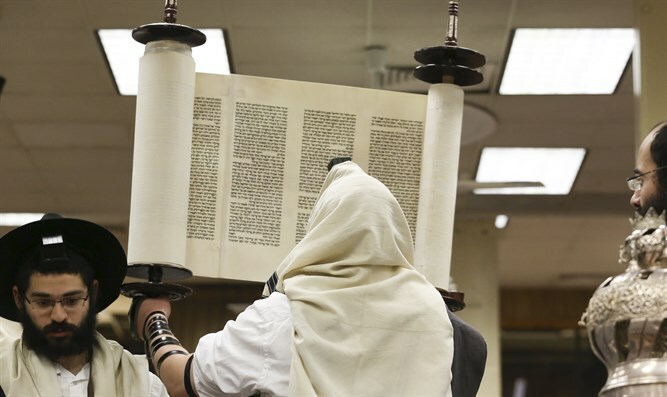 When we affix a kosher mezuza scroll to our doorpost, we are fulfilling the mitzva of Mezuza, but the mitzva of TAASEH enables us to fulfill the mitzva. Example: Take for yourselves on the first day (of Sukkot), a PRI EITZ HADAR and three other plants... That's a Mitzvat Asei. But unless we know what a 'fruit of a goodly tree' is, we cannot fulfill that mitzva. When Chazal taught us that the fruit is to be an Etrog (and no other citrus or any fruit), then - and only then, can we fulfill the mitzva. TAASEH is the enabler. Not only can we take the Arbaa Minim properly, but Chazal commanded us to take it all seven days of Sukkot (except for Shabbat). When we do that, we are fulfilling TAASEH. AND THEN SOME? Chazal commanded us to observe an 8 day holiday with Hallel and lighting candles each night. Rabbinic mitzva but with the Torah-backing of TAASEH and LO TASUR. Forbidden on Shabbat to prune the dead leaves of a rosebush growing in your garden. Torah law. Enabled by TAASEH and LO TASUR. Can't prune a house plant either. Rabbinic law. Again, Lo TASUR. Judaism is Torah (Written and Oral) plus Rabbinic law, custom and more. All part of TAASEH.